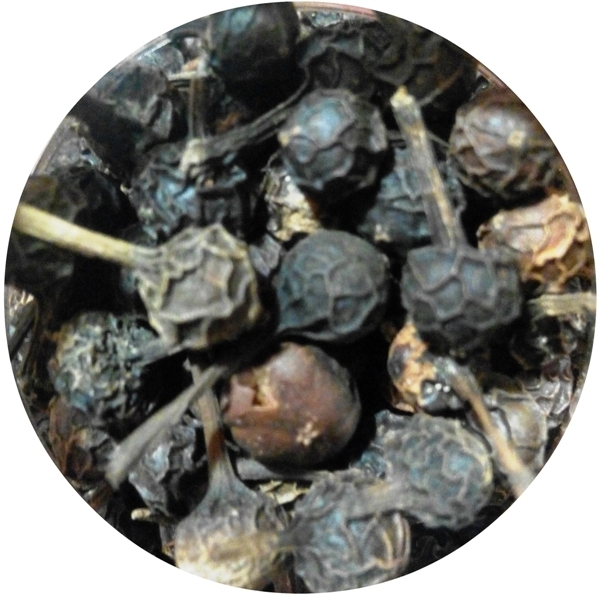 CUBEB (other names: Java Pepper, Tailed Pepper), Whole corn with stem. 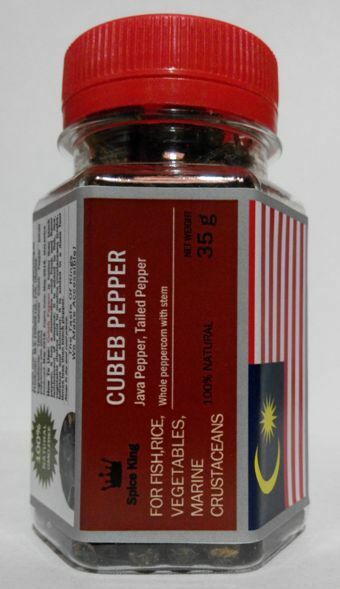 Ingredients: 100% natural Cubeb Pepper (whole corn with stem). How To Use: Cubeb Pepper or Java Pepper is hotter than black pepper, it has a distinctive mint fresh and flavor reminiscent of allspice; it is added to fish, rice, vegetable dishes and to marine crustaceans (crabs, lobsters and shrimps); it is added in a dose four times less than black pepper. 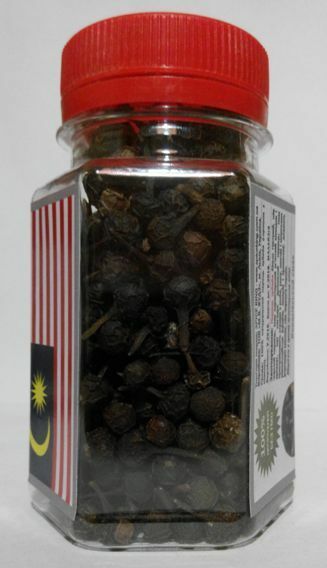 40 g net weight (100ml PET jar) - USD 2.40 (USD 60.00/kg).